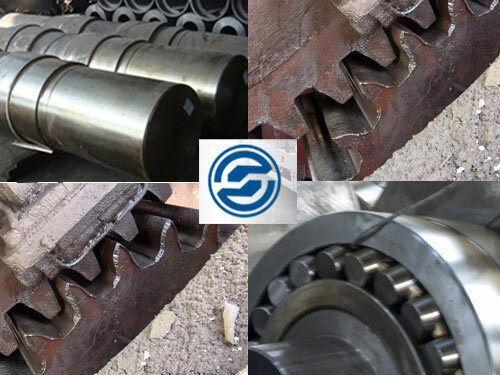 Having a wide variety of spare parts to industrial equipment to satisfy our clients’ needs in a timely manner is something that we take pride in. On the photo you can observe an assortment of parts including graphite blocks, robust bearings, thrust rollers, and other spare parts. One of the biggest concerns for any business is downtimes caused by equipment malfunctions. Wear and damage cannot be avoided completely regardless of the intensity of maintenance. Sometimes, downtimes do happen. Having a reliable contractor that can deliver vital spare parts in a timely manner is beneficial for any company. Strommachina always has all necessary spare parts and can deliver them quickly so that the downtime is minimized. We obviously have a rich assortment of spare parts for any type of equipment featured in our catalogues. However, we also offer a wide variety of commonly used spare parts. We approach each client individually and you can rely on us when you need a spare part that is very hard to find. If you struggle to find one, contact our specialists and we will help you out. Please contact our managers at any moment and order any spare part for youe heavy duty equipment. Provide us basic information: how many parts you need, what the part looks like, and serial numbers of your equipment! You will be satisfied with our service!